James Comey in his own words and my poor confused libtard brain - "So it goes." I'm a lefty in the old-fashioned sense of the word. I was raised with the holy trinity of MLK Jr, JFK & black Jesus on our walls, COINTELPRO stories were the first thing I learned about the FBI, and my Catholic grade school taught liberation theology and the preferential option for the poor before I went off to Baltimore City public schools and really got indoctrinated ;). Of course all of this was pre-FOX news and in an era when truth was a real thing. My older sister married a very "law and order" type and most of my family is conservative. Only my youngest sister and I remain the good liberals we were raised to be. At work we usually have CNN in the background, and I've been known to sneak into patient rooms to get a hit of Rachel Maddow. Given all of this, I had a complicated relationship with the idea of Comey before I started this book. It was finally available from the library this week. I'm pretty conscious of the way Democrats suddenly became lovers of the intelligence community when that became anti-Trump, and I try pretty hard not to fall into "I like x because you hate it" and vice versa. But damn it can be hard. All that set-up is to say that I learned a lot about James Comey from this book, and I thought I knew everything necessary before I started it. I honestly thought "do I still need to know anything about Comey? Do I care?" To learn anything given the all-Comey all-day life I lived for that weird year or two before I gave up TV in favor of keeping a shred of sanity says something for the book. Someone had put an idea of Comey in my head - and only a little bit of it seems to be at all true. 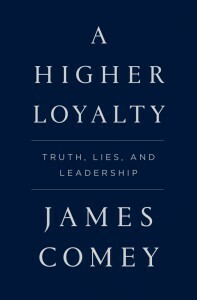 This is Comey's book, and it's flattering to Comey, of course. One of the first things I learned was that he's human, and his life hasn't been a cakewalk. He was bullied a lot as a kid (and since then hates bullies - you see where this will end up.) Also he and his wife lost a child to a completely preventable disease (and went on to change medical testing policies in the US - letting many more infants live, while theirs did not.) So he's quite human and has a little bit of a sense of humor. I wouldn't call him a riot, but he's not overly religious or preachy. He does, however, have a few lessons he has learned that he's clearly taken to heart in a way that may be less flexible than he imagines. He also has a habit of psychoanalyzing presidents (all three that he worked with) and other leaders that comes off as overly simplistic even while it may be based in truth. It also is sort of jerk-ish. Between government jobs, Comey worked in the private sector for a company that used "radical transparency." 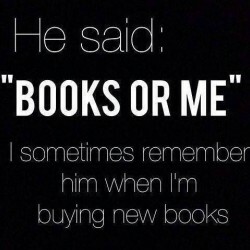 He learned that it's best to always be honest - even when you might prefer to be "nice." In fact, it's not always "nice" to avoid the harder things - reprimands or hard truths. I call this the "spinach in my teeth test." Meaning, if you really respect me, I expect you to tell me when I have spinach stuck in my teeth, not let me continue walking around that way. This basic test can do wonders for close working relationships as well as all the personal relationships we have. It doesn't always work in every situation though - it requires the ability to read people and situations. I'll go out on a limb and say that Trump is not a person who might thank you for pointing out he has spinach in his teeth. Anyone can see that. Anyone except James Comey. Or even if he could see it, he couldn't change his "radical transparency" policy to fit his new boss. He is clearly baffled by Trump from the start. Add to that bafflement and wildly different personal style the culture of DC - these men (and almost everyone is a man, though more on that in a second) who hold massive amounts of power (all the IC chiefs heads of various other government institutions, non-political government bigwigs all) don't seem to know what to do when things don't go exactly as planned. So they all just stay quiet and discuss things later or write memos and cover their arses instead of saying at meeting #1 (which we hear about in this book in detail.) It struck me that if a group of our nation's IC leaders couldn't tell the Trump team not to talk political strategy with them in the room -- all choosing to stay silent and do nothing while looking at their shoes -- then we have far larger problems than any of them are aware of. Or even the childish idea that it would be better for the other IC guys to just send Comey in alone to tell Trump about the "dossier." Why not have all four of them in there - disperse the vitriol everyone knew was coming. Powerful men who can't say, "Hey - we're not political appointees. Let's stick to the topic," even to an incoming president, are already way off course. This happens again and again - silence and furtive gestures instead of awkward but at least instructive basic information: we aren't your political team. We can't hang out, Mr. President. If you won't try to deal with this situation, Mr Atty General, then to whom should I take this issue? It's not just Comey who doesn't speak up - it's every single person in every single room. And of course, it's all blown up or about to. Mr Trump may not want to hear about the spinach, he may choose to ignore the information, but at least give him the benefit of making that decision. I'm not being clear b/c it's late and this book has complicated situations, but there's lesson in here for everyone who has ever dealt with sticky interpersonal situations: don't put them off in hopes they will just go away. They usually don't. And don't jump on the high horse AFTER you stared at your shoes instead of speaking up. Some of the good things Comey did while in government were: immediately upon taking over the FBI noticing that the agency was 83% white and immediately starting a big push to change that. So far it's been effective and it's still going on. He also recruited more women. He created a class taught at the academy about the way the FBI treated MLK as a lesson in not being a powermonger that continues to be one of the favorite classes of incoming recruits and does sound like an interesting class. He seems to have liked and respected Obama, of course. But he also learned from him, specifically about language used in law enforcement and how some of these phrases are heard through ears that aren't white, cisgendered and male. He is willing to learn - to think about things as much as he can from other people's shoes. It was instructive to hear his thought processes about the rise in the murder rates in many (but not all) American cities following the Baltimore uprising (and similar events since Mike Brown's death.) Here he falls down language-wise. I got very upset at the way he relitigated Mike Brown's death - it was unnecessary and cruel, frankly. His editor did him a disservice in leaving that in the book - it is the only time he sounds ridiculously out of touch. He doesn't have the language always for things like race relations in the US, but you can tell he really is thinking and working toward improvement. His speeches were imperfect and headlines only caught the bloopers, but his heart was in the right place, I believe, and even more - the problem still isn't solved and James Comey along with President Obama were the only two people in power who seemed to think about this rising number of dead black (mostly) men with any nuance. Hearing their frank discussion (albeit only from one side) made me hopeful. He ends the book on hope too. Despite what he calls a "time of anxiety" he likens the current administration to a forest fire. Yes it's devastating and destructive, but it may be clearing the way for new growth. (I'm pretty sure we'd all prefer a different way to grow, but OK.) All in all, while this wasn't the best book ever, it added a fuller picture and new shades to my knowledge of each situation already covered in the press and added a whole person to the idea of James Comey. What makes me most sad is that I considered not reading it because I thought "how much more do I really need to know?" That fatigue and malaise scares me. Maybe I don't need to know about Comey himself, but I need to keep thinking and protesting and writing letters and oh yeah - this week is early voting in Maryland. It reminded me that no matter how much I hear about anything, there's always more to learn, and I need to guard against propaganda more carefully than I've apparently been doing.